New Zealand Handmade: Beginners’ Class anyone? It is really hard to believe that you don’t need to have had any experience in jewellery making and still go away with beautiful pure silver pieces like these! 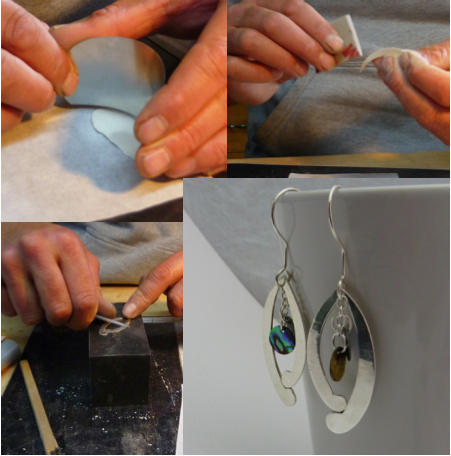 No matter what background you have, from first concept to finished piece you are guided through the design process and learn how to work with “Art Clay Silver”, a precious metal clay. And there is a great “green” fact to note regarding this medium: while creating your own original jewellery you are working with a recycling product- the tiny silver particles which make up the precious metal clay are extracted from metal-containing waste like x-ray films and photographic waste but also discarded cell phones and monitors. Art Clay instructors are happy to help you realize your ideas, and before Christmas various classes are coming up where you could create very special Christmas presents for your loved ones. And don't forget, vouchers for classes are well received gifts too!